Paul Maliphant will reflect on the terrible event 50 years ago at Aberfan, and apply the lessons learned to the present day. 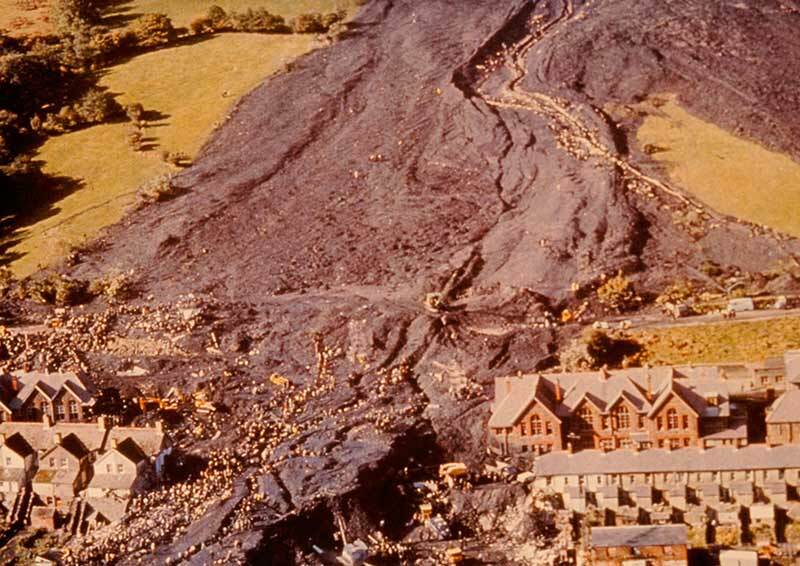 The sudden failure of the waste tip at Aberfan on 21st October 1966 killed 144 people, of which 116 were children, as the slurry swept through parts of the village, including the Pantglas Junior School. A new plaque unveiled in 2015 in remembrance of the former Merthyr Vale Colliery that fed the tip records its long history. Opened in 1875 the colliery closed in 1989 following a long and proud existence punctuated by one of the darkest days in the history of coal mining. The corners of our memories may be eroded and softened by time but they live on in the local communities first established to house the coal miners of the colliery and their families. The memories and the lessons learned also live on in the collective memory of ground engineering and allied professionals and the legislative legacy of the tragedy. We would be foolish to allow the vitality of such knowledge to wane with time. Every opportunity should be taken to remind ourselves and the next generation of professionals what was learnt from that darkest of days. Today we will reflect on the events 50 years ago and refresh our professional memories.